If you – or more likely, the company you work for – are desperately holding on to your old antiquated copy of Windows XP, there’s some good news today. Microsoft has agreed to continue pushing anti-malware signatures for the operating system through July 14, 2015. 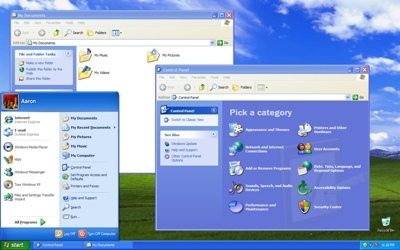 Previously, Microsoft was set to end all support for XP on April 8, 2014. To be clear, Microsoft is not continuing to support the XP operating system after April 8, 2014 aside from this very basic security tool. That means XP owners will be unable to use free or paid support options or receive technical content updates from Microsoft after this April. It also means XP owners will not enjoy full protection, as Microsoft explains. "Our research shows that the effectiveness of antimalware solutions on out-of-support operating systems is limited. Running a well-protected solution starts with using modern software and hardware designed to help protect against today’s threat landscape." Earlier this week, expert Windows blogger Paul Thurrott reported on rumors that Windows 9 will be available as soon as April 2015. If true, this XP reprieve could be timed to let those of you holding older computers skip the unpopular Windows 8 altogether. Update (1/21): Post edited to reflect that Microsoft is only pushing anti-malware signatures, and not more complete "security fixes." Did you even read the Microsoft post that you linked? Microsoft will NOT be providing security fixes for Windows XP, they will continue to provide malware signatures for their security products that run on Windows XP. That is a significant difference from what your post says!